All it takes is a daytrip past Georgetown and Chinatown. A slow saunter past The White House, Phoenix House, Blair House and the local crack house for the message to become abundantly clear. Be it ancient Rome or modern-day America, you’re either a citizen or a slave. A biting satire about a young man's isolated upbringing and the race trial that sends him to the Supreme Court, The Sellout showcases a comic genius at the top of his game. Born in the 'agrarian ghetto' of Dickens on the outskirts of Los Angeles and raised by a single father, a controversial sociologist, the narrator of The Sellout spent his childhood as the subject in racially charged psychological studies. He was led to believe that his father's pioneering work will result in a memoir that will solve his family's financial woes. But when his father is killed in a police shoot-out, he realises there never was a memoir. All that's left is the bill for a drive-thru funeral. Fuelled by this deceit and the general disrepair of his hometown, the narrator sets out to right another wrong: Dickens has literally been wiped off the map to save California from further embarrassment. Enlisting the help of the town's most famous resident - the last surviving Little Rascal, Hominy Jenkins - he initiates the most outrageous action conceivable: reinstating slavery and segregating the local high school, which lands him in the Supreme Court. Beatty’s fast-paced, hard-hitting prose is as eloquent as it is laugh-aloud funny. He is a master of his craft, riffing on the chords of contemporary black culture with a speed and deftness that leaves his readers breathless. 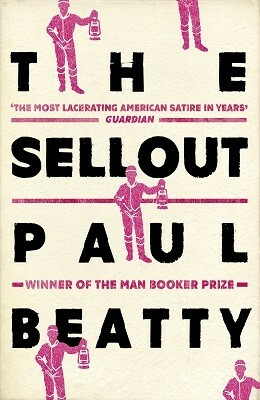 The Sellout is an outrageous and outrageously entertaining indictment of our time.